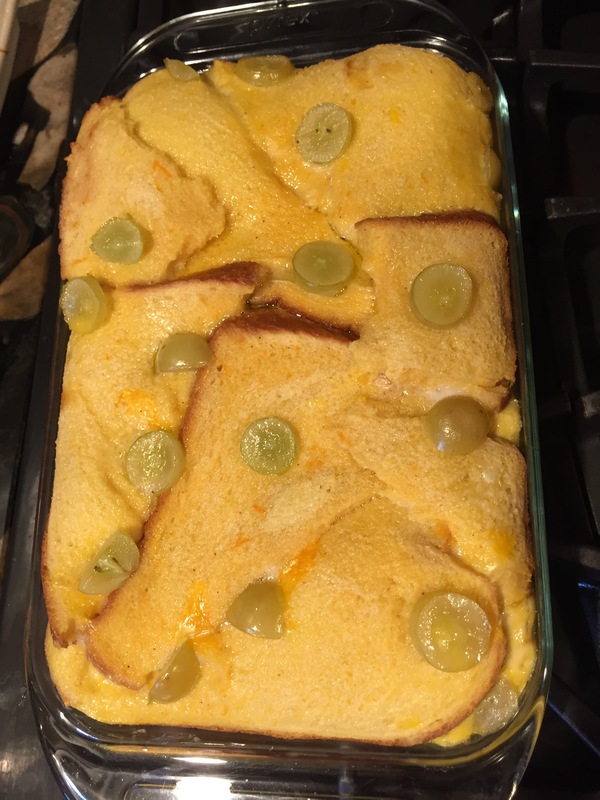 Whenever I find myself with a lot of eggs in the fridge, I make a dish of this divine bread pudding. Tonight is one of those nights. 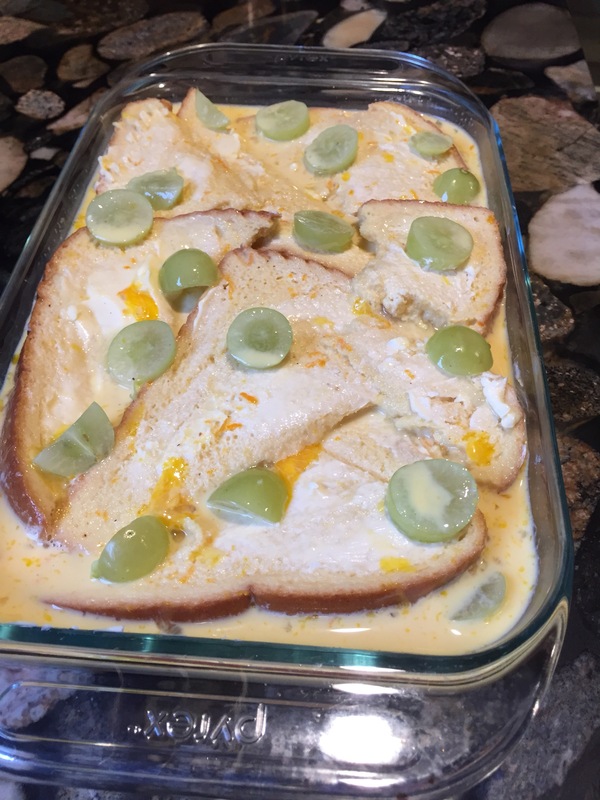 The recipe is adapted from one found in a cookbook all about eggs: Egg by Blanche Vaughan. Butter your bread slices liberally on both sides. Cover the bottom of a 7×11 pyrex pan with about half the bread, overlapping slightly. 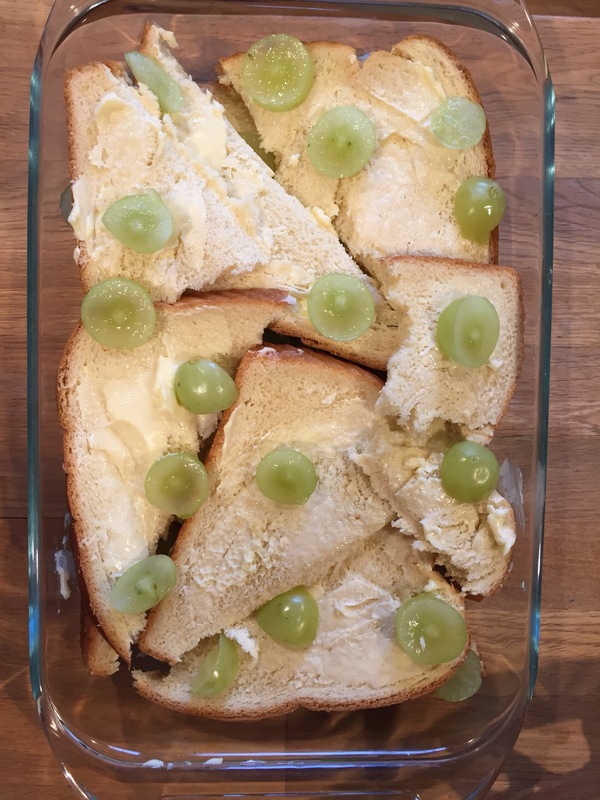 Dot the bread with half the grape slices. Repeat with the rest of the bread and grapes. Mix together the milk, cream, sugar, vanilla, nutmeg, orange and eggs in a bowl. Pour the mixture over the bread slices, ensuring all the bread is soaked. Let sit 30 minutes so bread can soak up the liquid. Cook for 40 minutes or until slightly rise and brown on top. Eat while it’s still warm and you’ll be in heaven! Yum! 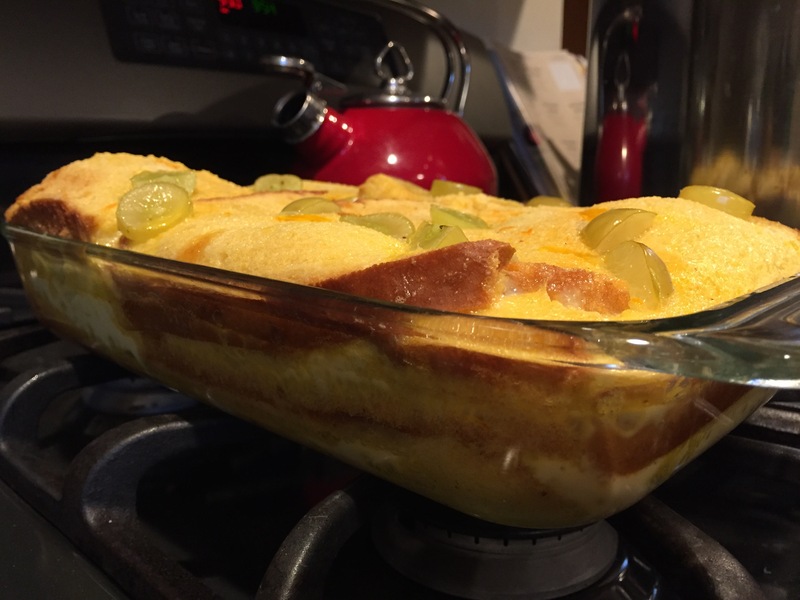 I can still remember my Mom’s bread pudding and her baked rice pudding – makes me want to make some!